The Valkea tea light holder from Iittala captivates with its soft, rounded contours and the lightly coloured glass, through which the candlelight can disperse its cosy warmth. The tea light holder was designed by Harri Koskinen, who brings a small piece of Finland into your own four walls with the high-quality decorative objects. In the North of Europe people attach particular importance to comfortable lighting - especially during the cold season. But also on warm summer evenings on the terrace or balcony, the tealight holder provides a cosy atmosphere and a visual enrichment of the surrounding space. Available in different colours, Valkea tealight holders can also be combined with each other to create a colourful, harmonious arrangement that attracts all eyes despite its simple design. 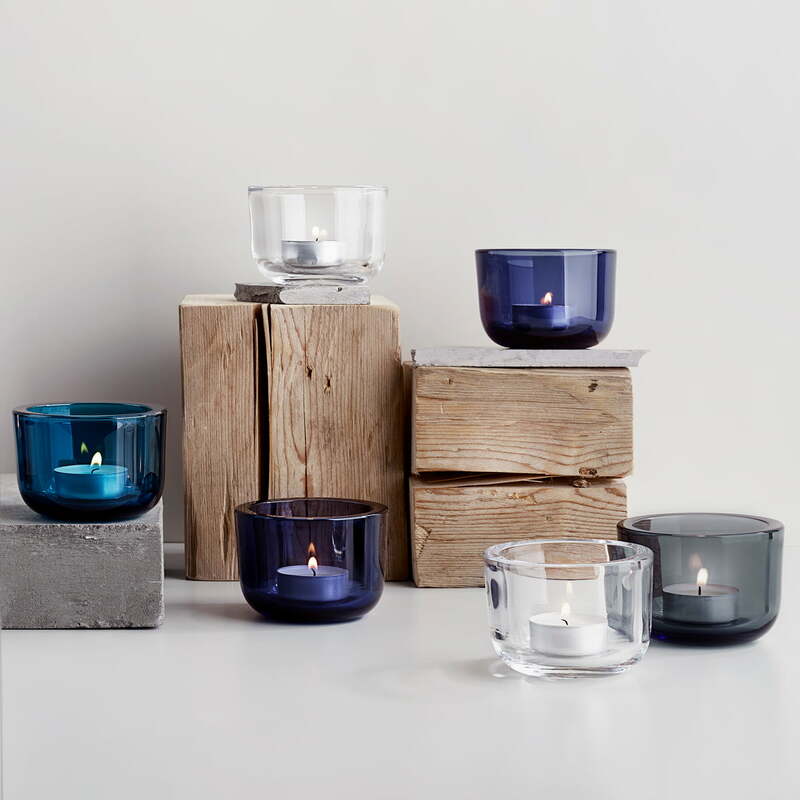 Made from solid coloured glass, the Iittala tealight holders should only be cleaned by hand. They are suitable for commercially available tealights. The Iittala - Valkea Tealight Holders 60 mm, clear. The Valkea tea light holder from Iittala captivates with its soft, rounded contours and the lightly coloured glass, through which the candlelight can disperse its cosy warmth. 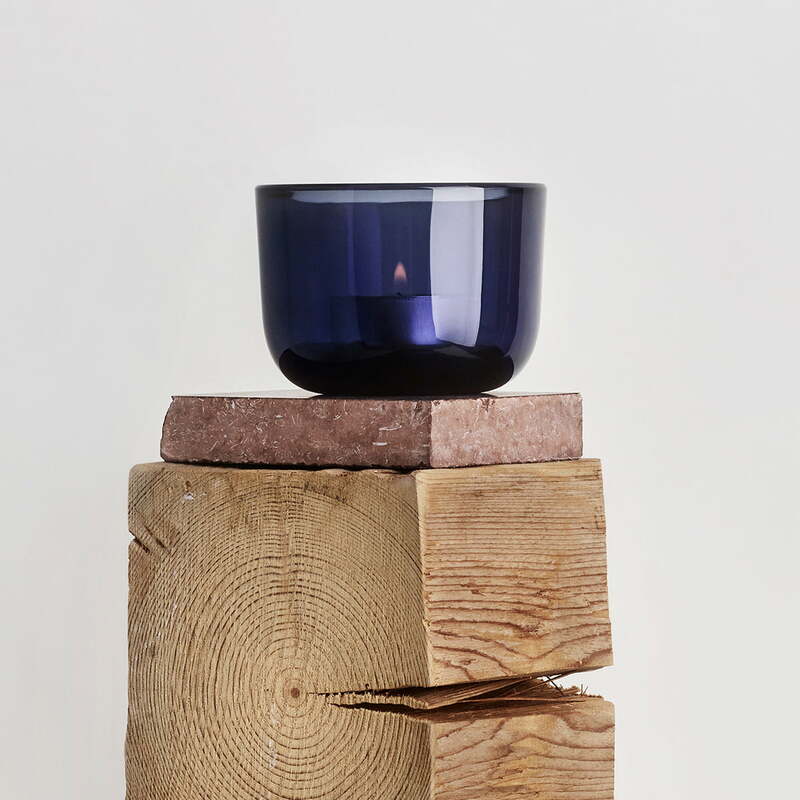 The tealight holder was designed by Harri Koskinen. 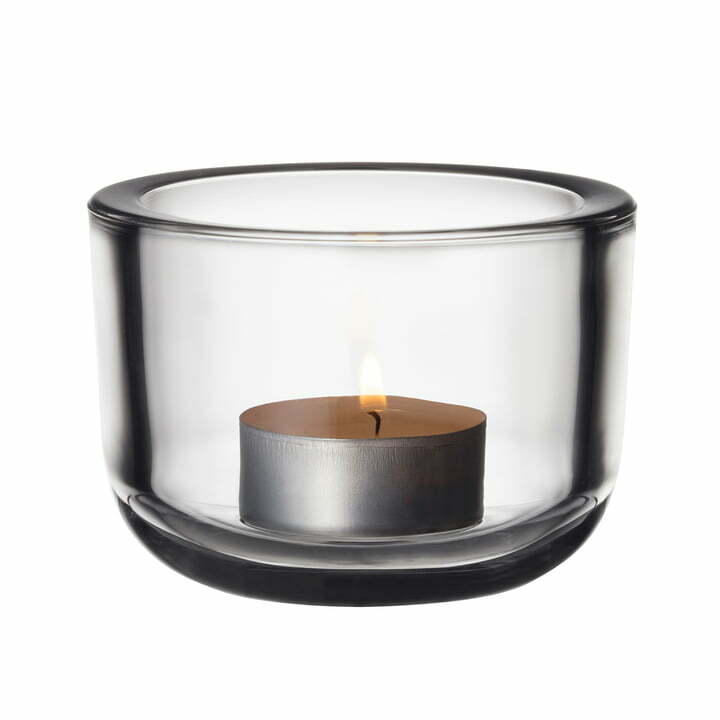 Group product image of the Iittala - Valkea tealight holder. Available in different colours, Valkea tealight holders can also be combined with each other to create a colourful, harmonious arrangement that attracts all eyes despite its simple design. Lifestyle product image of the Iittala - Valkea Tealight Holders 60 mm, rain. The tea light holder was designed by Harri Koskinen, who brings a small piece of Finland into your own four walls with the high-quality decorative objects. In the North of Europe people attach particular importance to comfortable lighting - especially during the cold season.